Baby sleeping velour bag with jersey lined - 110cm. Select (size) size / age 110 cm. / 2-4 y.
Bio Baby sleeping velour bag with jersey lined - 110cm. • Made of 100% certified organic cotton, this baby sleeping bag is gentle for babies' soft skin. • Super soft organic fabric makes this perfect for sleeping. • To find the correct size: child's height from shoulder to feet + 10 cm : it prevents children from slipping down into the bag. • The lovely character can also be found on the bed linen and among the soft toys of the same collection. A sleeping bag allows babies to breathe freely without the risk of having their head covered. 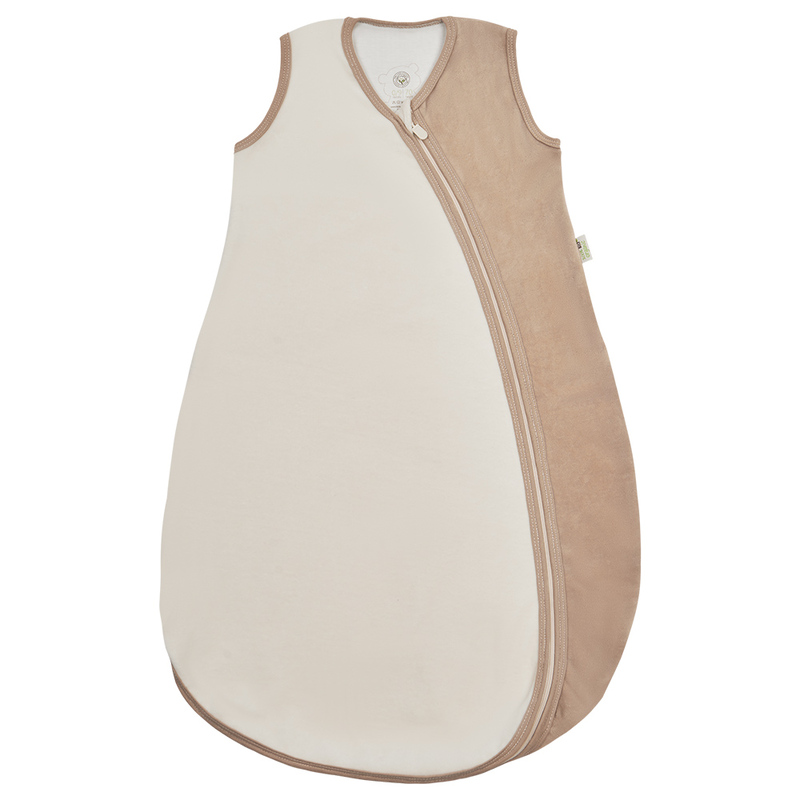 Our Bio Baby sleeping bag is made of extra-light, non-quilted fabric. It has a generous foot section to offer free leg-movement. Thanks to the L-shaped zipper-line of the sleeping bag, it can be opened flat out. This makes diaper changing easier while the baby is sleeping. The flap over the zipper-end protects against scratches. The sleeping bag coordinates with our collection of soft furnishing textiles, toys, comforters and bath time textiles. As one of the leading manufacturers of toys and textiles for babies and young children, it is our aim to understand the children’s world in order to make them understand our world. The knowledge resulting from this curiosity, our love for details and our sense of responsibility is entirely incorporated into the diversity, creativity and quality of our products. Baby sleeping velour bag with jersey lined - 130cm.